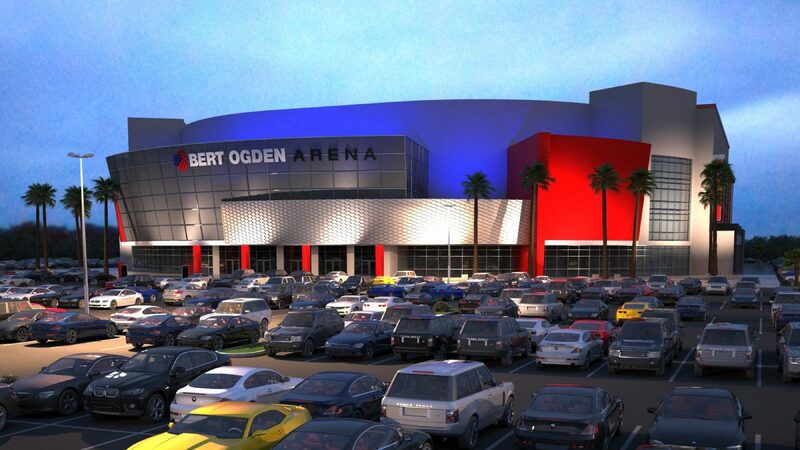 The exterior of Bert Ogden Arena once completed is seen in this artist's rendering. Luis Miguel is the first announced concert at the new Bert Ogden Arena, officials announced Monday at a news conference in Edinburg. Miguel will not necessarily be the first performer at the arena and other major announcements are coming, officials said at the news conference. The facility is projected to be complete at some point this spring or summer, according to a Monitor story.